The War Memorial of the northern French city of of Lille, 'Melancolia' is situated at Place Rihour, adjacent to the present-day Tourist Information Office [Photograph No. 1]. Each year, on 11 November, the anniversary of the 1918 Armistice, and 8 May, the anniversary of V.E. Day 1945, there are memorial services at the memorial. "To the 83,000 combatants of the Polish Army who fell in the field during the Battle of France for your liberty and ours". One of the outward signs of remembering those who lost their lives for the cause of liberty is the laying of wreaths. This is an important part of the official ceremonies of 11 November and 8 May at French War Memorials. During WW2 Lille the liberation of Lille was virtually completed by 4 September 1944. The local cost in lives for the liberation of Lille was at least 50 dead, with approximately a further 600 wounded. 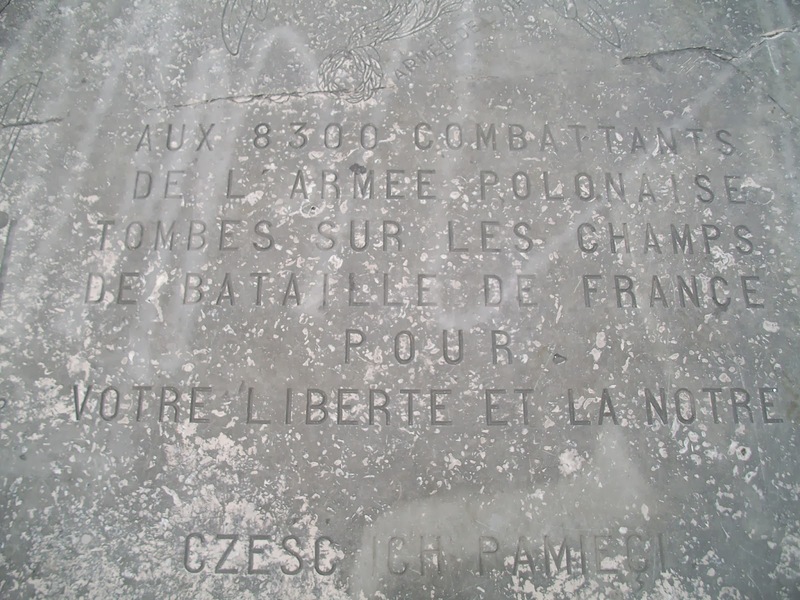 Among the Allied liberators who passed through Lille the following day were many Poles. 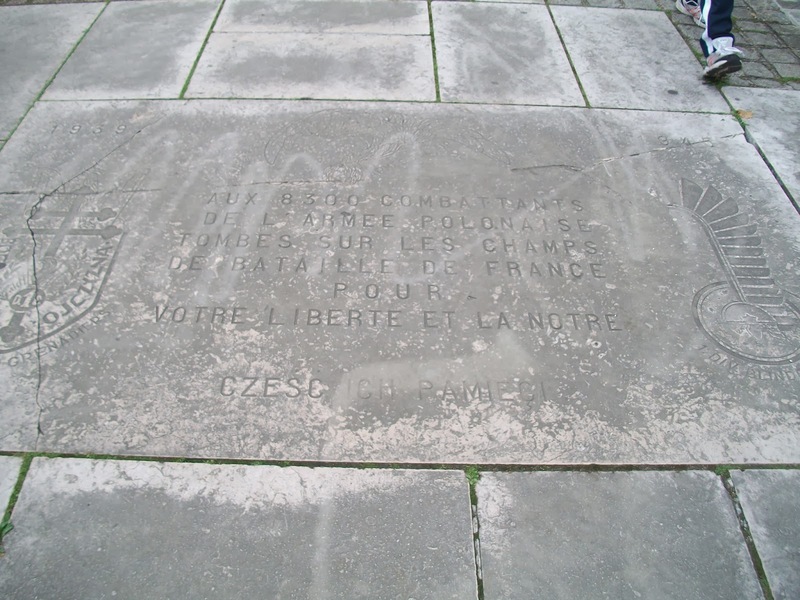 They had fought their way through France in the cause of freedom at the cost of about 83,000 of their number, according to the Lille memorial. Photograph No. 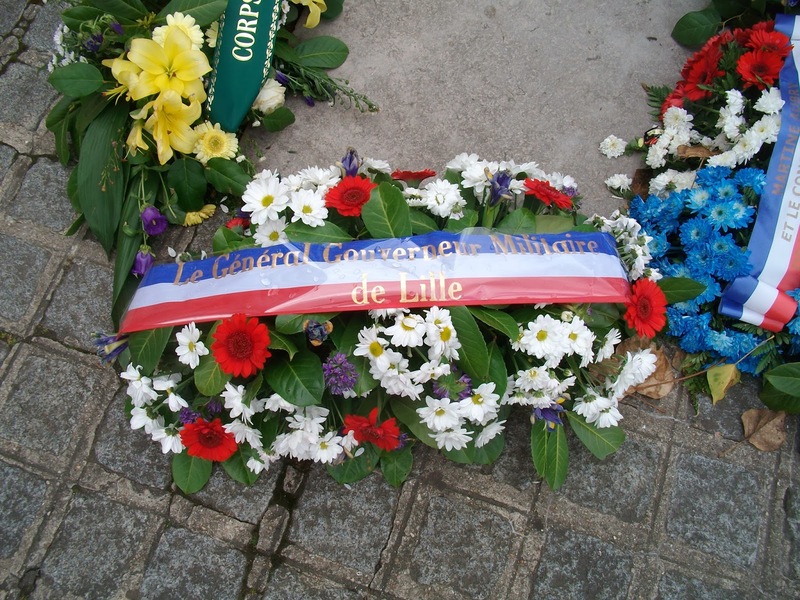 4 shows some of the wreaths laid at the memorials at Lille by civic and other leaders during the ceremony of 8 May 2013. The wreath in the centre of the photograph was placed there by the Military Governor General of Lille. 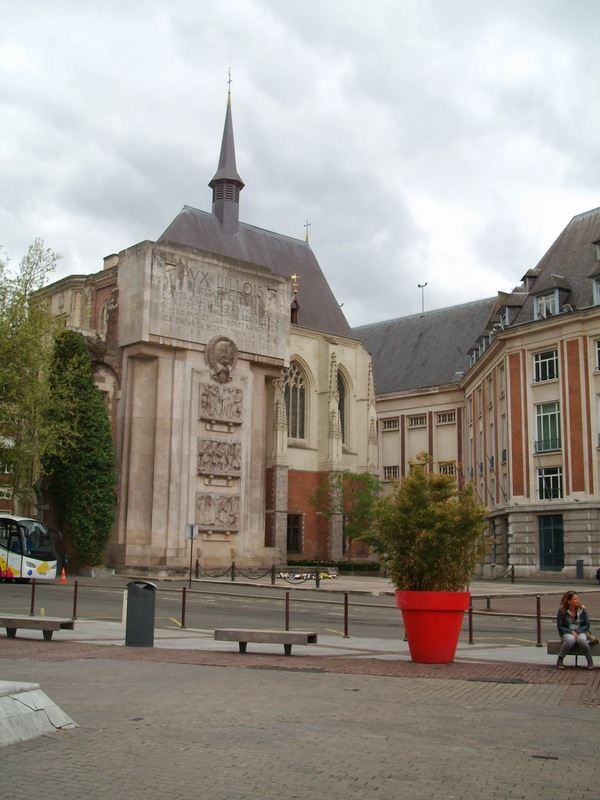 To the right of the photograph is the wreath laid by the Mayor of Lille, Mme. Martine Aubry (née Delors) on behalf of herself, the Town Council and the citizens of Lille. Dedicated to the memory of the Free Polish troops who fought - and died - during the battles of 1944 and 1945 leading to the liberation of France and N.W. Europe.